The weekend had it’s own new twists and turns, and one among them is more details of a rumour that has been going on for some time. 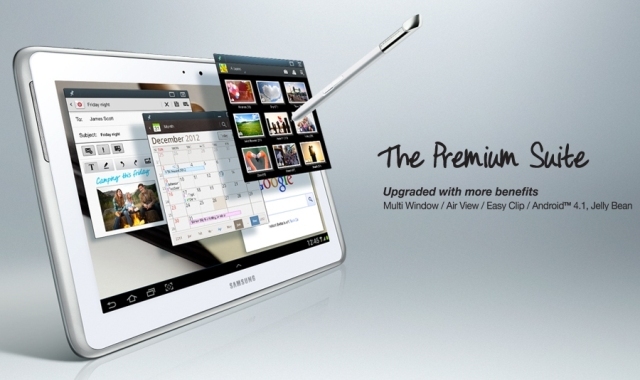 That of a 12.2 inch tablet from Samsung. Sometime last month, ET News had it that Samsung was working on a larger tablet, Apple too with something they called the iPad Maxi. On Saturday the detail went further up with EV Leaks tweeting certain product codes with some level of detail that pointed to Samsung tablets with a screen resolution of 2560 x 1600. These are the Samsung SM-P900, a 12.2 inch tablet running Exynos 5 Octa processor and an S-Pen, the other being a P600 which is a 10 inch tablet with Snapdragon 800 inside, both with a 2560 x 1600 screen resolution. IFA Berlin is not far, and we assume this is where we are going to either see these announcements or bury them. This will be the same forum that the highly anticipated Galaxy Note III will take a stage from. Can you wait?